Are you looking for the dentist Wetherill Park has relied on for more than 30 years? 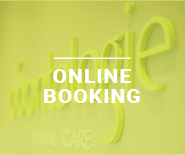 Working out of our clinic in Lansvale since 1988, Dr. George Sakoutis and the team at Odontologie Dental Care are located just 15 minutes away for Wetherill Park residents. Located at 329 Hume Highway, our dental clinic is conveniently located for public transport users and features a generous carpark for drivers. When you walk in the door at Odontologie Dental Care, you’ll immediately notice the difference we provide. We have put a lot of effort into creating a welcoming, friendly, comfortable, and family-friendly environment for our patients. 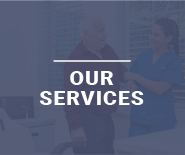 We believe that great dental care is about more than just dental treatments and services. It’s about putting our patients at ease in order to provide the best result for in every way possible. From general dentistry to dentistry services for kids, Odontologie Dental Care is the dentist Wetherill Park can trust. Dr. George Sakoutis is the cosmetic dentist Wetherill Park residents come to for life-changing smile makeovers. The cosmetic dentistry services provided by Odontologie Dental Care can enhance the shape, colour, and alignment of your teeth. Not only does this create a more uniform smile, but it can also enhance your self-esteem and improve the structure and function of your mouth. Dental implants are some of the most effective tooth replacement options on offer. 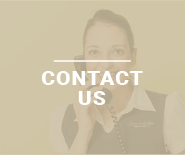 If your tooth has been damaged or becomes infected, we can offer you dental implants near Wetherill Park. Dental implants are also a great option if you are missing teeth, as they can restore your mile while also strengthen your jaw. To learn more about dental implants near Wetherill Park or to make an appointment for all your dental care needs, contact our team today.